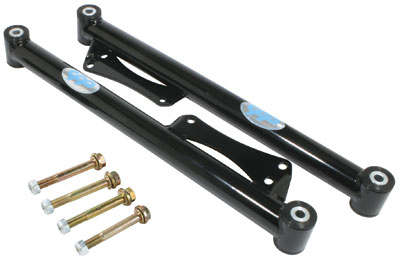 Classic Performance Products announces its new 1964-72 Chevelle 4-Link Rear Tubular Trailing Arm Kit.Made of heavy gauge TIG welded 1-3/4  DOM tubular steel,,these newly engineered trailing arms by CPP are much stronger than the stock stamped units and include lock-out plates that keep the rear in perfect alignment. 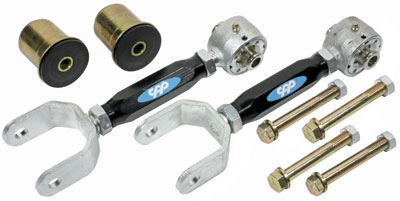 CPP s upper arms provide a much wider range of adjustment than stock and the lower arms have integrated sway bar mounts for a clean look. 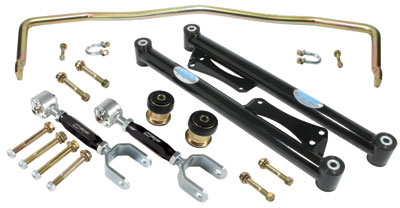 Included with the kit is Classic Performance's patented high performance bushings.These self-lubricating bushings can withstand tempertures up to 400°F and guaranteed not to squeak.The sway bar is made from tempered and hardened high-carbon steel then zinc plated and includes mounting brackets.Hardware and complete instructions are included.This kit fits all 1964-72 GM A  Body cars including Skylark,Cutlass and LeMans/GTO models.This is the perfect rear suspension upgrade for your GM muscle car and an excellent complement to CPP s new tubular front control arms!